Additional Information: The checklist below comes directly from the SCD 2011 Standard Catalog of Baseball Cards. The cards are blank-backed and unnumbered. The catalog states that all the known cards are of Phillies and that there are two Wright poses. However, it does not have any information as to what the second Wright pose might be. As a result, the checklist below lists just the one card, for now. Beckett currently lists nothing about the set. 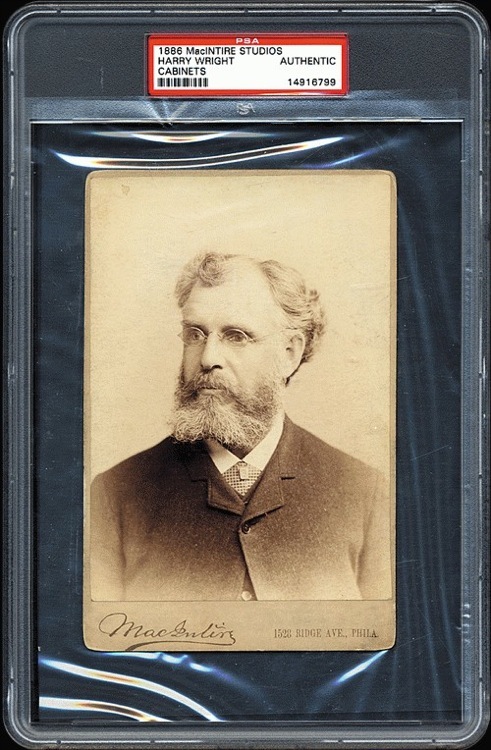 The Wright card image comes from a page on the Robert Edward Auctions website, which gives the card dimensions stated above. However, SCD gives the card dimensions as 3¾” x 5¾”. This set is very likely the first one containing cards of Phillies.